Today, 3/31/13, is the very last day to take advantage of this offer, and then it's gone. So many of you have emailed to tell me how happy you were to get this fantastic price on a Real Simple subscription. Real Simple magazine very rarely posts any heavy discounts on their subscriptions. 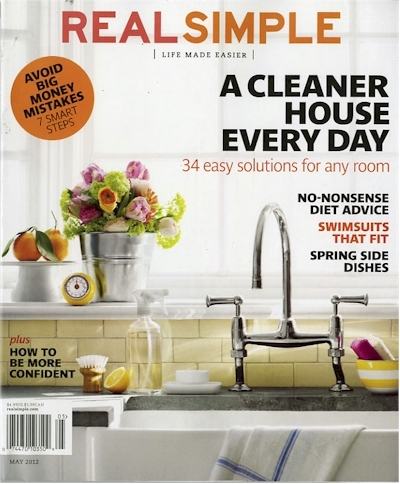 Real Simple magazine is one of the priciest (and one of the most sought-after) magazine subscriptions out there. It has a cover price of $4.99 (which translates into $59.88 for the year over 12 issues) and its annual subscription price everywhere is a little less than half of that, $23.88. This new deal blew me away. Click through this link and get 12 issues of Real Simple for just $12.00 when you use promo code JUST12SM at checkout! That comes to only $1 per issue or 80% off the cover price. You can get this special subscription price for one year only. Important: Magazine Reader Mall DOES have auto-renewal, so be sure and set a Google calendar pop-up reminder for yourself to cancel your subscription in one year, by calling 1-888-243-8383 or emailing your cancellation to magazinereadermall@customersvc.com. Tanga has got a year's subscription to Arts and Crafts Homes magazine for $6.99 per year (normally $23.99) for up to three years, when you enter the promo code DAILYCHEAPSKATE at checkout. 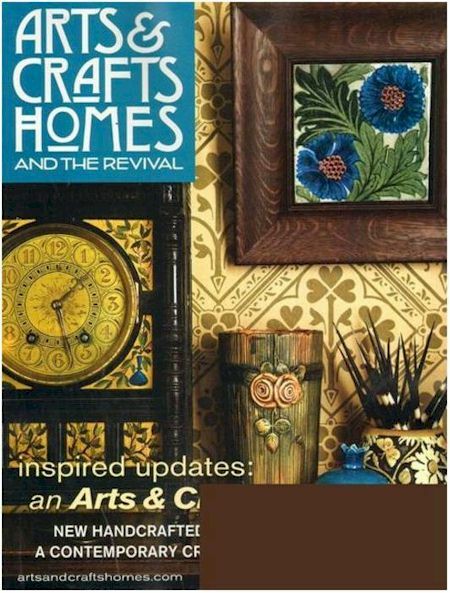 Art and Crafts Homes magazine offers "advice and perspective for those building, renovating, or furnishing a home in the Arts and Crafts spirit. Offering hundreds of resources, we showcase the work not only of past masters, but also of those whose livelihoods are made in creating well-crafted homes, furnishings, and works of art today. Each issue is a portfolio of the best work in new construction, restoration, and interpretive design, presented through intelligent writing and beautiful photographs." Click here to get started. This price is good today (3/31/13) only and works for both renewals and new subscriptions. Dress Barn is running a great sale right now: get 20% off your entire regular purchase when you enter promo code EAPR2013 at checkout (excludes sale items). And right now, today, 3/31/13 only, you can get free shipping (no promo code needed). 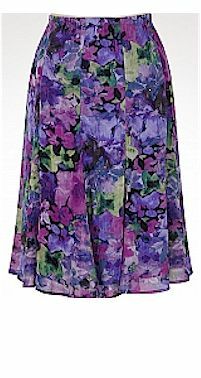 I discovered Dress Barn on my quest to get longer skirts that would fall below my knee, here in Denver. 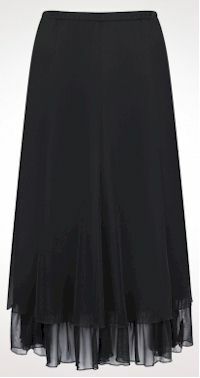 They are one of the few national chains that will carry long skirts that aren't super-dowdy. They also carry both petite sizes and plus sizes. And happily, you can return your online purchase to any Dress Barn store location within 60 days, so you can make your purchases without worrying about whether or not they'll fit. 20% off promo code is good through 4/17/13; free shipping ends today, 3/31/13. Hill's Science Diet is offering a full rebate on their 2-4 lb. bags of Ideal Balance dog food (up to $12.99). Well, happily, Ideal Balance Grain Free Adult Chicken & Potato was one of the chametz-free dog foods listed this year by the Star-K, so if you purchased it for your dog, hang on to your receipt! And if you didn't, you can still buy Ideal Balance dog food and get a full rebate through 12/31/13. Hill's had the same offer last year, and we mailed in the rebate and received our money within a month, so this is for real. When you're trying to function in a Passover kitchen that is just too small, every little bit of counter space helps. This year, I didn't even unpack my coffee mugs; there was just no room for them. As soon as I could, I went online and ordered this wrought-iron-look mug tree for $6.99 with free Prime/SuperSaver shipping. It holds 6 mugs and tightened up the "footprint" of my coffee mugs to a very confined space. I'm actually thinking about getting a second one for some smallish countertop tools. Get $10 back on your $20 Pantene Expert Collection purchase between 3/24/13 and 4/15/13. Download the $10.00 rebate form here. Wow! 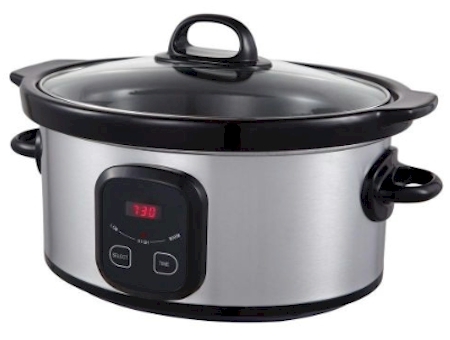 Home Depot has this 5-quart digital slow cooker for $9.88 each. They are not shipping any out; you must select the store-pickup option. Click on "Check Store Inventory" to see which of the nearby stores have them, buy them online and then pick them up in-store. There is no charge for in-store pickup. Purchase GE Energy-Smart LED light bulbs before 7/31/13 and you'll be eligible to mail in this rebate form and receive cash back on your purchase. Mail the product UPC symbols and dated cash register receipts in with the form and you will receive $5 back on your minimum $25 purchase or $10 on your minimum $40 purchase. Limit one rebate per household/address. To help you with your light bulb purchases, here's a Target store coupon for $2 off any GE Reveal lighting item. Make sure you print it (twice) before 3/31/13. I'm going to hug my dishwasher after Pesach. Print these Cascade coupons now, use later. The Real Simple $12 subscription is still available, but only for two more days. This deal disappears after Sunday, 3/31/13, so grab it while you can. So many of you have emailed to tell me how happy you were to get this fantastic price on a Real Simple subscription. My Amazon price-monitor alarm dinged today (love when that happens). 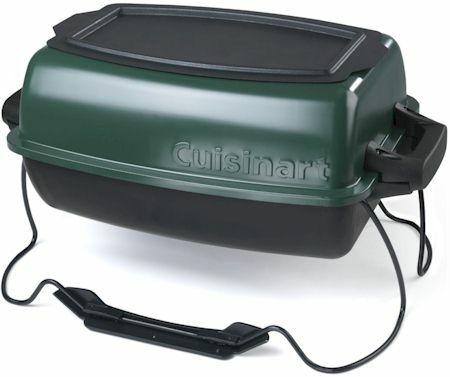 Amazon has got the lowest historical price EVER on this Cuisinart Griddl'-n-Grill Portable Gas Grill (model #CGG-080) at $34.76 with free shipping. That reflects a $20 price drop from February 11. If you are planning any road trips, camping, beach picnics or tailgating this summer (we are thinking about a Wyoming drive), this portable , practical Cuisinart grill will not get any less expensive than this. Go-anywhere gas grill with integrated 72-square-inch griddle in the lid. Enamel-coated grill grate offers 192 square inches of grilling surface. Ideal for cooking breakfast or side dishes while also grilling. Sturdy fold-down legs fold up and turn into easy carrying handle. High-temperature painted grill lid; heat-resistant Bakelite handles. 21.2" x 16.2" x 11.8"; 11 lbs. 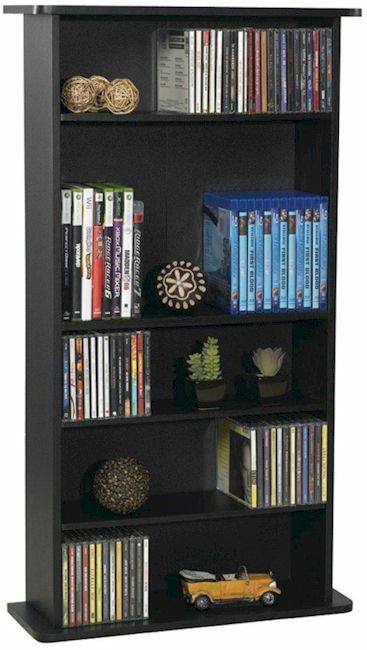 Holds 240 CDs/108 DVDs/132 Blu-rays or games. Adjustable shelves for better media organization. 19.1" x 7" x 36.1"
Get the 7 oz. size SoftSoap body wash for $0.94 on clearance at Walmart, so after the coupon, it'll be just $0.44. Durable stoneware material designed for use in oven, microwave, refrigerator and freezer. 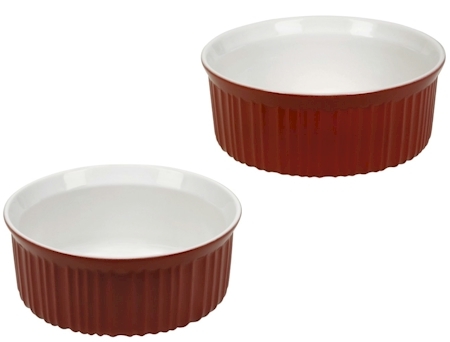 2-pc red set includes 1-1/2-qt and 2-1/2-qt round casseroles. Non-porous surface does not absorb food odors, flavors or stains. 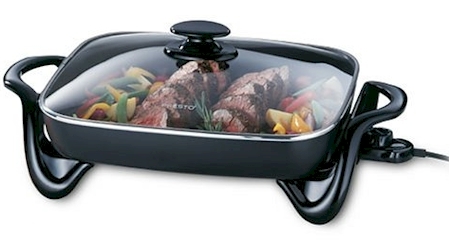 Oven, microwave, refrigerator/freezer, dishwasher safe. Print your rare coupon for buy-one-get-one-free for Sally Hansen's Hard As Nails item. Too busy with Passover cleaning and cooking? Print now, use later, because this high-value coupon will run out of prints. Request your free sample of Garnier Skin Renew Miracle Skin Perfector BB Cream from Target here. Get a 12-issue subscription to the cutting-edge magazine, Wired, for the price of a venti mocha frappuccino at Starbucks (I mean literally; the frap is $4.97). 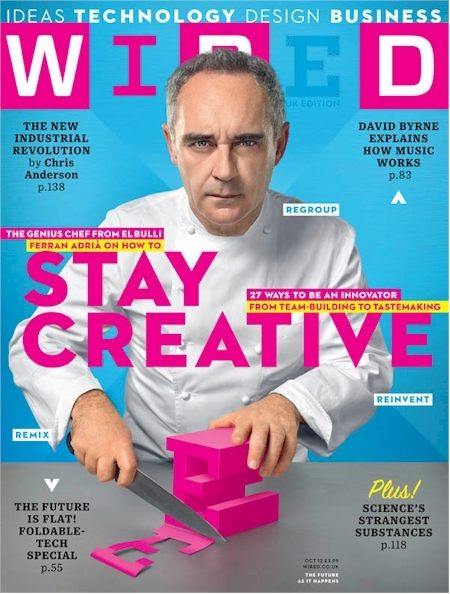 A year's subscription to Wired drops to $4.99 (normally $19.99) when you enter promo code DAILYCHEAPSKATE at checkout. You can hold this rate for up to three years. $0.42 per issue or $4.95 for a newsstand issue. Hmm. 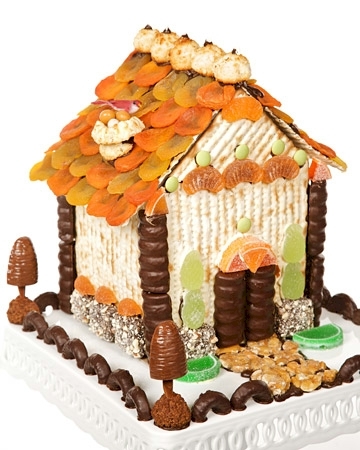 Love to cook and bake? Get an annual subscription to Simple & Delicious (from Taste of Home) magazine (normally $17.99 per year) for half price at $8.99 per year from Tanga when you enter the promo code DAILYCHEAPSKATE at checkout. You can get this discounted price for up to three years. 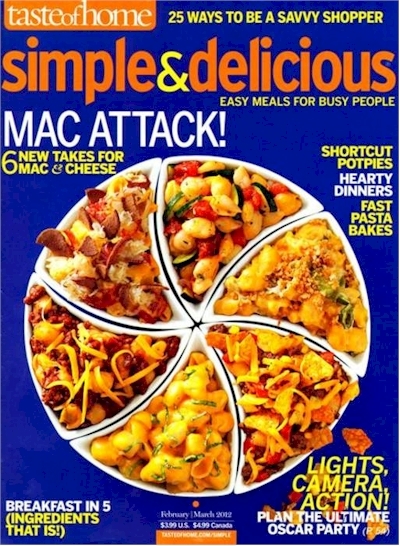 Simple & Delicious magazine offers 90+ fail-proof, easy to fix recipes that promise mouth-watering meals fast. Plus time-saving tips for shopping, menus, food prep and storage. Click here to get started. This price is good today (3/24/13) only and works for both renewals and new subscriptions. 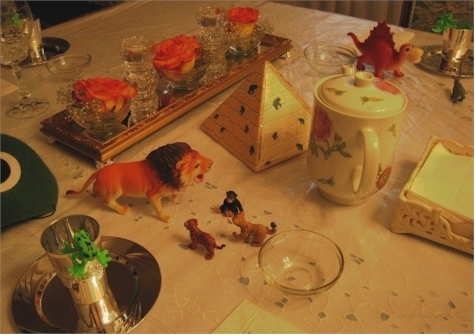 Need inspiration for your Pesach seder table settings? My old school friend Marlene Maymie has done it again at The Jewish Hostess. Check out her blog for Pesach recipes as well. Also check out my friend, Mara Strom's blog, Kosher on a Budget, for Passover recipes too. Then again, there's my old pal, Martha. If you're running out to get last minute Afikoman gifts tomorrow, be sure and download these toy and game coupons first. I know just about all of us are done buying appliances for Pesach, but as I was unpacking my small appliances, I found my beloved Pesach electric skillet, and I went online and sure enough, it was less than what I paid four years ago. Amazon has this highly-rated Presto 16" electric skillet for $39.99 with free shipping. Why do I love it so much? My mother used an electric skillet for Pesach when we were growing up, and she recommended that I buy one. I didn't believe how useful it would be until I actually got one. With all the extra cooking I do over Pesach, my stovetop is constantly full, and the skillet gives me a extra place to whip up a stew, side dish, matzoh brei, even eggs. Even though it's non-stick, I use it with a tiny bit of cooking spray, and cleanup is super easy (very important when you can't use your dishwasher on Pesach). I've even been thinking about getting one for chametz. This handy little appliance got 4.5 out of 5 stars over 476 customer reviews (and 430 of those were 4 stars or more). Read the reviews; you'll be bowled over. And it looks like if you pay for this with your Discover card and enter promo code DISCOVER at checkout, they will give you one-day shipping and you will actually get this in time for Pesach (although don't hold me to that). 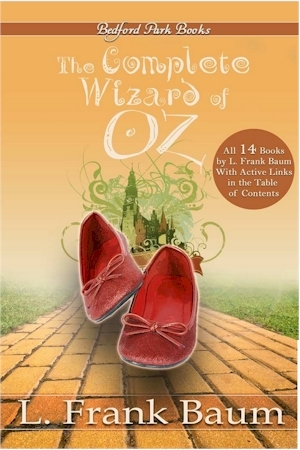 Get all 14 L. Frank Baum Oz books for $0.95 in e-book format, to read on your iPad, PC, Mac, Kindle or other devices. I remember taking out the Oz books from the library when I was a little girl. They are the very best in children's fantasy literature (and big wow, 14 for less than a buck!). Here are some supereasy instructions for reading Kindle eBooks on any device, including smartphones, computers and tablets. I read e-books on my PC, Kindle and iPad all the time. 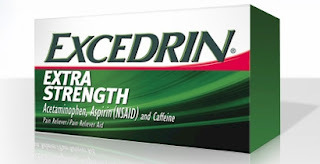 If you didn't get your free bottle of Excedrin yesterday or the day before, Excedrin is giving you another chance to snag a free 24-count bottle today on their Facebook page . Go there now for your free bottle! For a limited time, get a $2 Amazon Mp3 credit when you download and open the Amazon Local app on to your iPhone, Android or Kindle. (I used my iPad and was able to get it without any problem.) 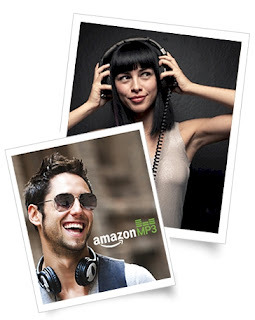 Make sure you claim the free Amazon MP3 credit by 3/25/13 and redeem it by 4/5/13. 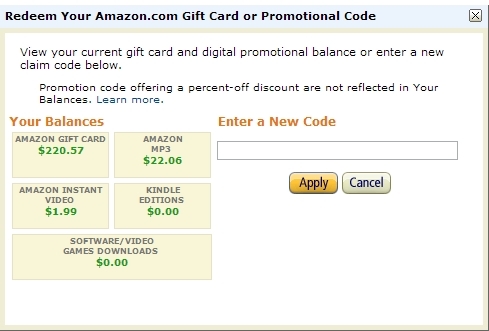 Once you download the app, you'll be taken directly to the offer of the free $2 Amazon Mp3 voucher. Accept the offer and get your voucher. You don't need to do anything else; the credit will automatically be added to your account. Want to check on your Amazon digital credit balances? It's very easy. First, make sure you're logged into your Amazon account. My Amazon price-tracker dinged this morning, and it's a good one! 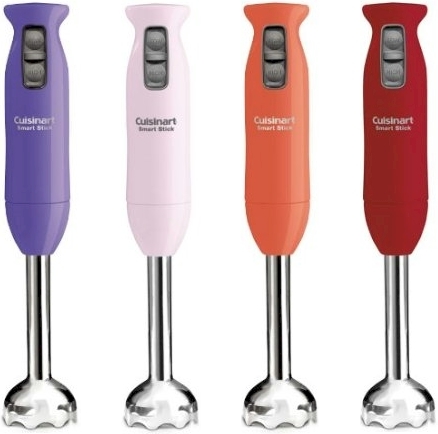 The Cuisinart CSB-75 Smart Stick Immersion Blender is at it's lowest historical price ever: $28.99 with free shipping. I've already got one of these practical beauties, but I picked up another (in purple!) for a shower present. 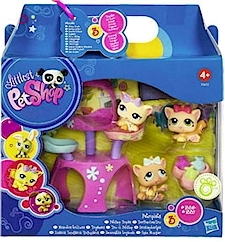 This price is good only on these colors: purple, pink, orange and red; the other colors are $34.95 and up. Go-go-go and get it now, before Amazon does one of its sneaky price hikes. If you want this for Pesach and have Amazon Prime, be aware that it might or might not make it in time for the first days, but consider it an investment for many Passovers to come! It will transform your soups and sauces. This highly rated immersion blender has got 4.4 out of 5 stars over 22 customer reviews..
New and improved now with 2 speeds (low and high) for all your blending tasks. Stick design reaches into pots, pitchers and bowls to extend blending options. Ergonomically designed grip offers comfortable hold and more control while blending. Operates with a one-touch control for easy, one-touch blending. Dishwasher-safe blending shaft and beaker make cleanup effortless. Easy Spirit is running a fantastic, high-discount 30% off sitewide sale. No promo code is needed; the additional 30% off appears in your cart upon checkout. If you're not familiar with Easy Spirit shoes, they are based on the premise that beautiful shoes should be as comfortable as sneakers. Some of us (like me) are old enough to remember the famous 1991 commercial where a bunch of women played an actual basketball game wearing Easy Spirit pumps. Yes, they are that comfortable. Sensible shoes shouldn't be hideous shoes. These are good shoes, they are well-made and they are not cheap. But at 30% off, they are comfortable on your wallet as well. Shipping is a flat $5.00 on every order, no matter how much you spend. Naturally, I raided the sale section first. The Quora "Mary Jane" style pumps (they come in three colors) pictured above were $79.00, and are on sale at half price for $39.99. 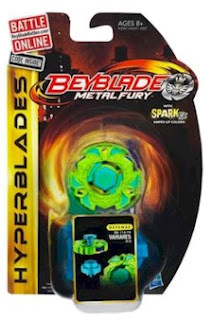 With the 30% off, they drop to $27.99!! 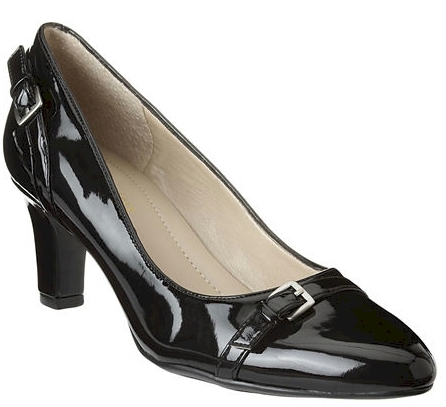 This Quillan pump (available in two colors) were $79.00, and are on sale for $59.99. With the 30% promo code, they drop to $41.99. 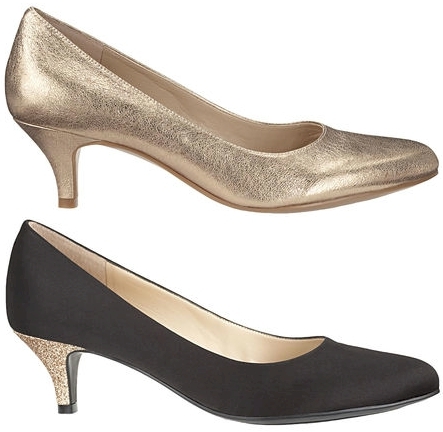 The Peeta evening pumps, available in gold and black, were $89, and then were marked down to $39.99. After the 30% discount, they drop to $27.99. If you've never owned a pair of metallic pumps, your time has come. They are the new black, but much more fun, and they go with everything. 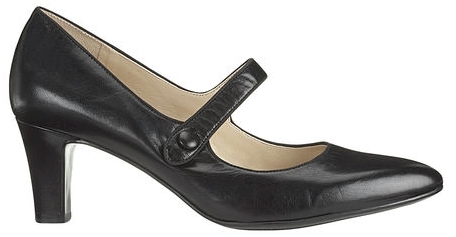 Lots of styles are available, including heels, flats, sandals, sneakers, ballerinas, nauticals and more. The 30% sale is sitewide and it doesn't look like anything is excluded. Sale ends 3/25/13. They carry all widths, from narrow to wide-wide. 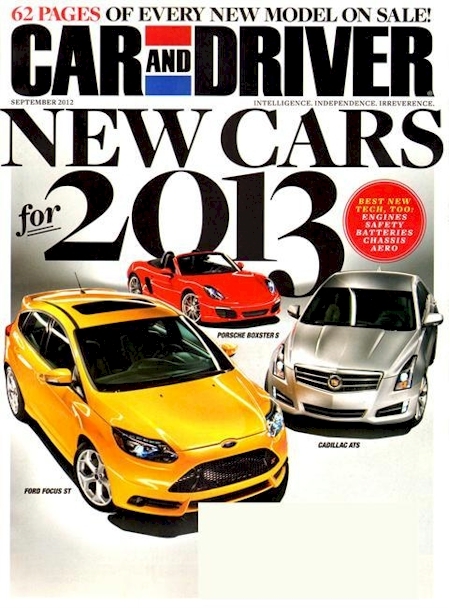 Car enthusiasts, get an annual subscription to Car and Driver magazine for $4.50 per year (usually $11.97 per year) for up to three years, from DiscountMags, when you enter promo code DAILYCHEAPSKATE at checkout. Click here to get started. Remember, this offer is only good today, 3/22/13. My husband is going to love this deal. 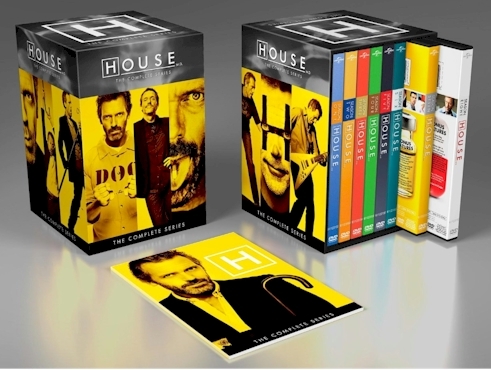 Amazon's Gold Box Deal of the Day is House, the complete series on DVD (41 discs, 8 seasons) for $83.99 with free shipping. Here's the series description: Every baffling case. Every brilliant diagnosis. Every brutal insult. They're all here in all eight seasons of House, M.D., the compelling medical drama that critics proclaimed one of the smartest and intellectually bravest shows on television (Jennifer Arrow, E! Online). Two-time Golden Glober winner Hugh Laurie is Dr. Gregory House, Princeton-Plainsboro Teaching Hospital's Chief of Diagnostic Medicine whose astounding intellect is matched only by his frightening bedside manner. Relive every captivating moment as House and his team of doctors solve complex medical mysteries, push professional boundaries, and face their own demons. Gripping, witty, and intelligent, satisfy your House addiction in this must-own 41-disc collection, featuring all 176 episodes of this Primetime Emmy and Golden Globe-winning television phenomenon. 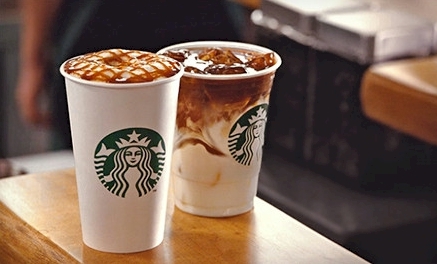 Groupon has got a $10.00 Starbucks e-giftcard for $5.00. Redeem Groupon voucher at http://groupon.starbucks.com/ for a Starbucks Card e-gift, which can be used in any participating Starbucks store.